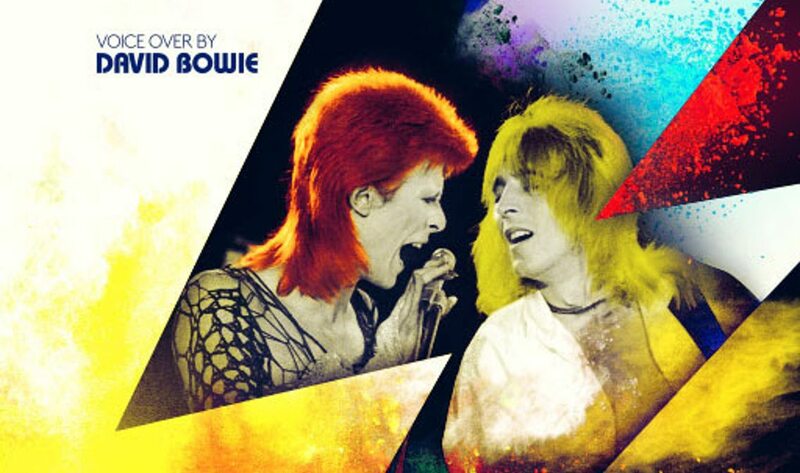 The documentary “Beside Bowie: The Mick Ronson Story” featuring exclusive voice-over contributions from David Bowie, is coming to theaters September 1st and home video on October 27th. The film is a celebration of the life and works of guitar virtuoso Mick Ronson, a rock hero virtually uncelebrated despite his direct contribution and involvement in countless compositions, lyrics and recordings that changed the face of music forever. Here’s a trailer for the documentary. The Emperor Media Ltd production documentary special is from producer/director Jon Brewer and also talks about Mick Ronson’s humble beginnings in Hull, England as he worked with the city’s council whilst pursuing his craft with consummate dedication. David Bowie grabbed at the chance to work with Ronson, in what would become a career-long association, alongside collaborations with other greats such as Bob Dylan, Ian Hunter, Lulu, Lou Reed, Morrissey and John Mellencamp. Ronson passed way in 1993 while working on a solo album.